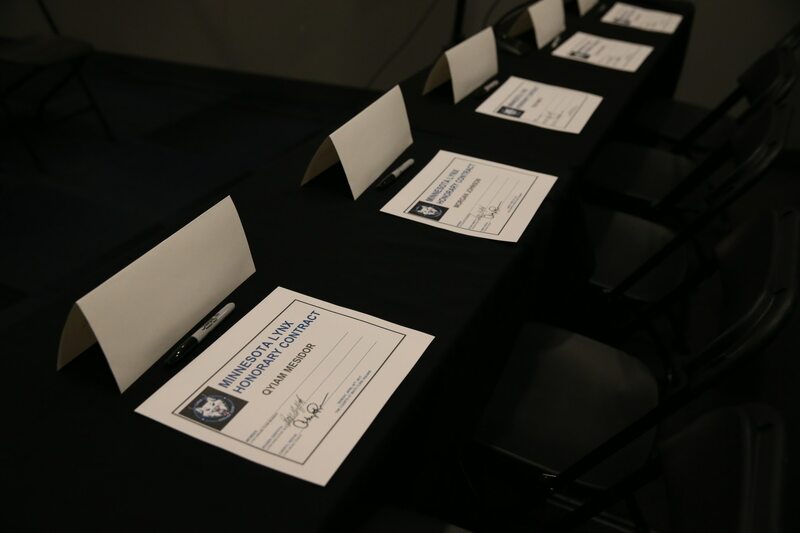 Honorary one-day contract wait to be signed at a table prior to Sunday's press conference. 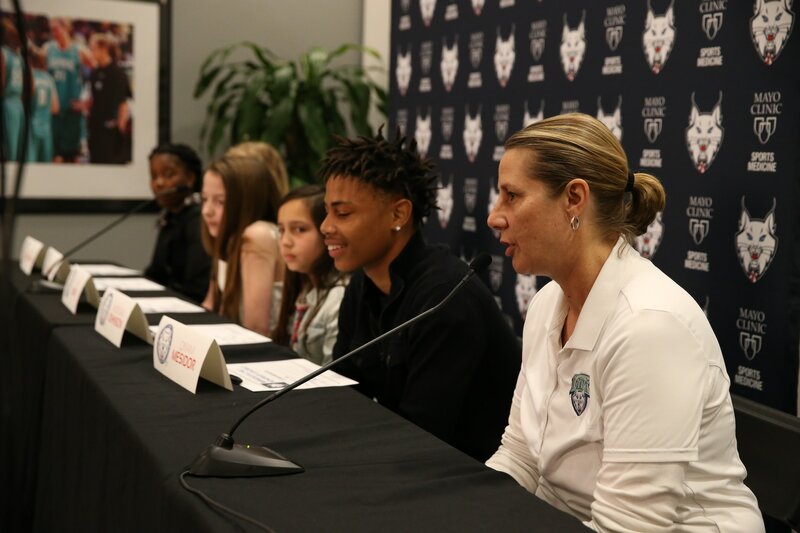 Minnesota Lynx head coach Cheryl Reeve addresses the media regarding the team signing five members to honorary one-day contracts. 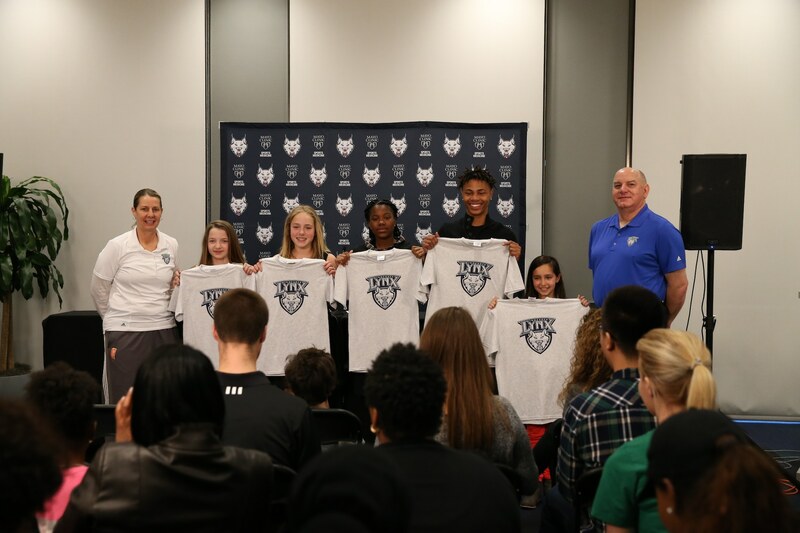 Cheryl Reeve and Roger Griffith stand for a photo with the five Dream Team members following a press conference on Sunday. 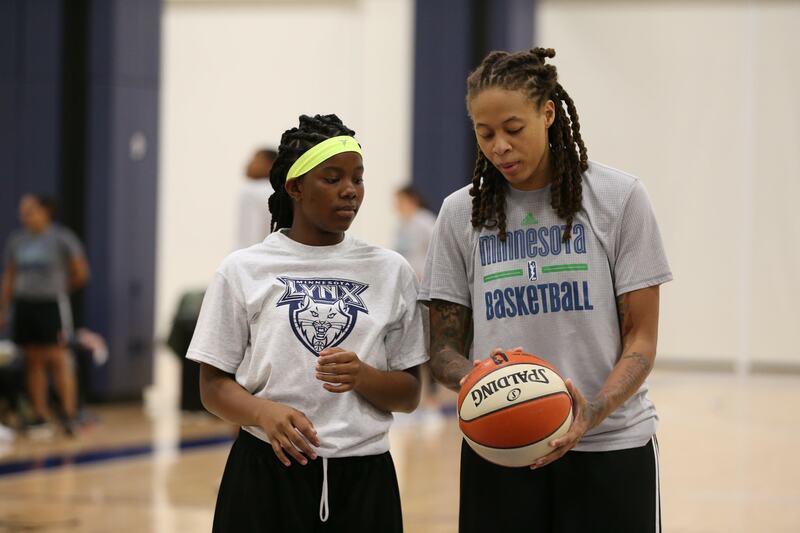 Seimone Augustus gives some pointers to one of the Dream Team members during practice on Sunday. 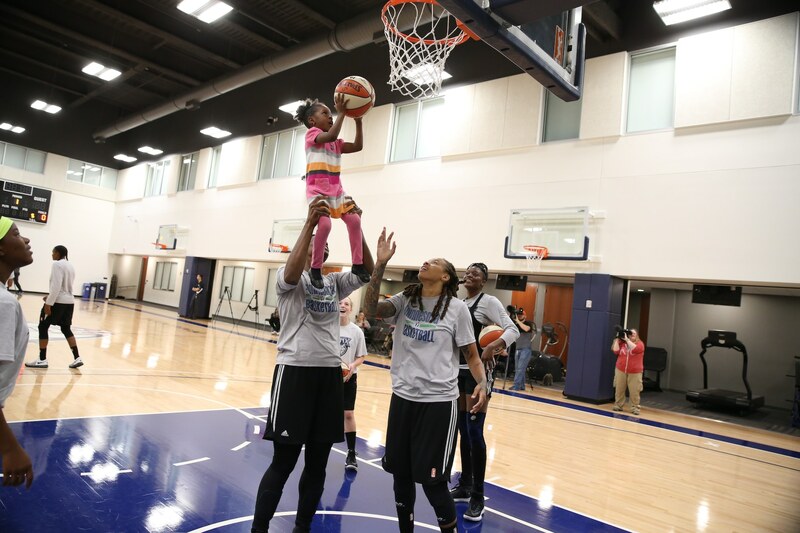 Sylvia Fowles lifts up a sibling of one of the honorary Dream Team members during Lynx practice on Sunday. 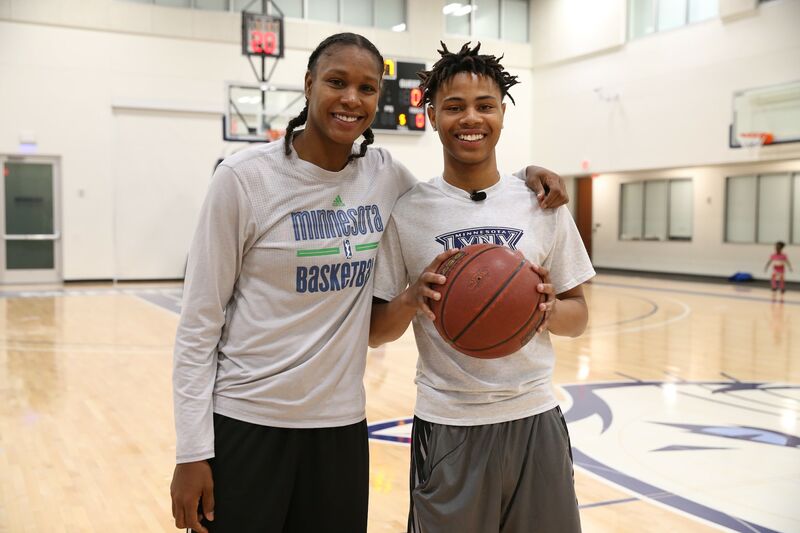 Rebekkah Brunson poses for a photo with Qyiam Mesidor after meeting each other for the first time. 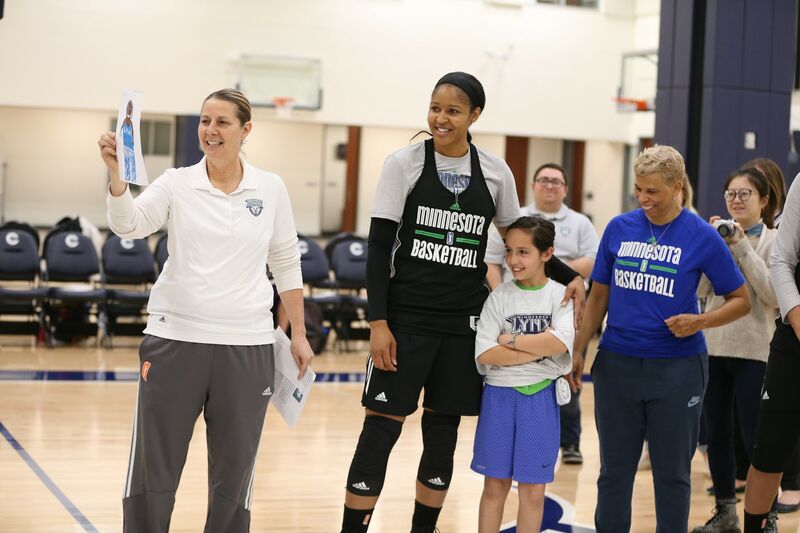 Maya Moore puts her arm around one of the honorary Minnesota Lynx Dream Team members during practice. 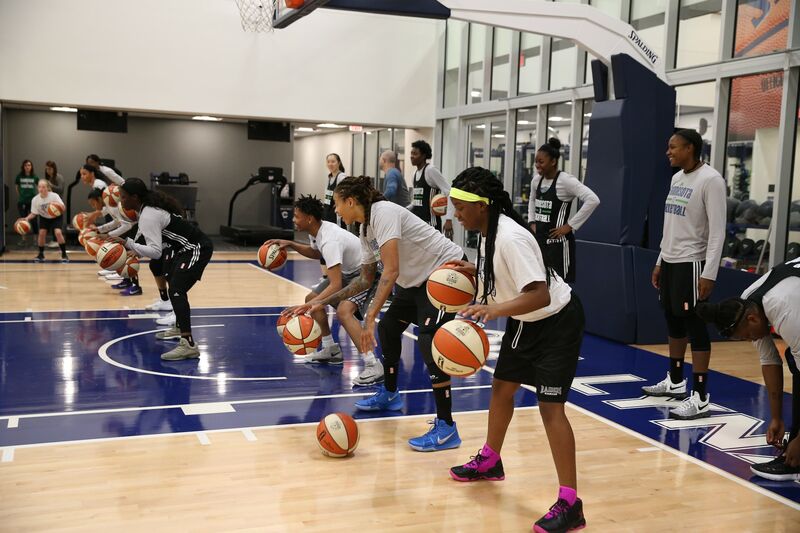 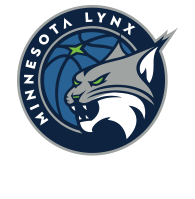 Dream Team members and the Minnesota Lynx players run through drills at the start of practice on Sunday at The Courts at Mayo Clinic Square. 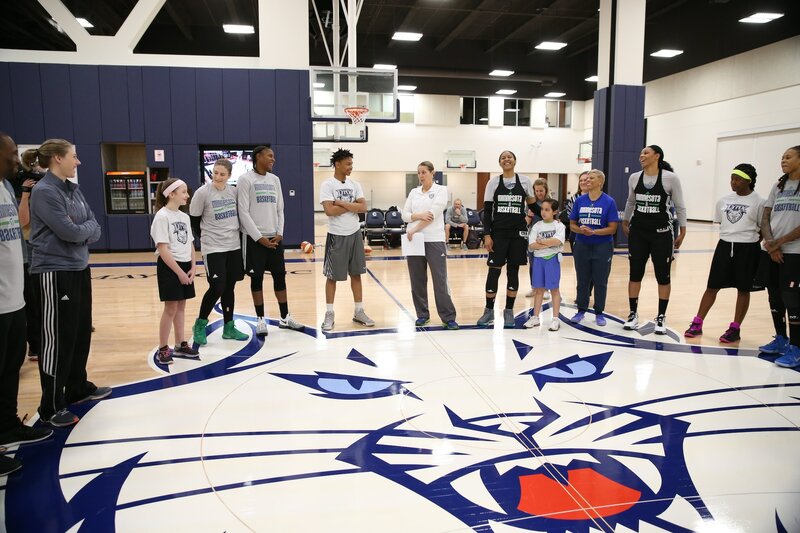 Minnesota Lynx head coach Cheryl Reeve addresses the team prior to practice on Sunday at The Courts at Mayo Clinic Square. 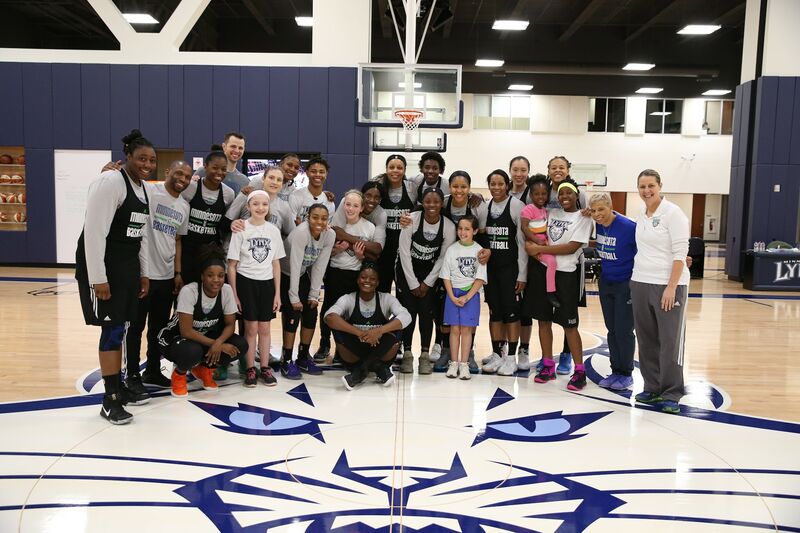 The Minnesota Lynx and the Dream Team members pose for a group photo during practice on Sunday.